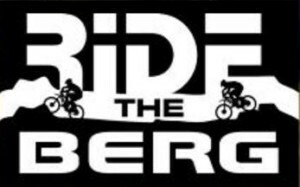 Unique on the South African MTB circuit, Ridetheberg offers participants a challenging but exhilarating solo-rider two-day stage race over 100km of world class mountain single-track. Set in the accessible and central Northern Drakensberg. The Drakensberg! Africa’s premier mountain range, UNESCO World Heritage Site, Geographical Wonder, international tourist attraction and South Africa’s prime outdoor adventure camping and hiking destination rolled into one. Stretching uninterrupted from the Western Cape to the Limpopo, these magical mountains have drawn brave minds, restless souls and hardy bodies in search of exercise, beauty and adventure for generations. Now it is time to raise the stakes, put on the helmet and the gloves and shake off the fear, as we bring Mountain Biking back to the Mountain! Day 1: Moderate Flowing Tugela Meander and Berg Traverse. 1000m of assent in 55km.